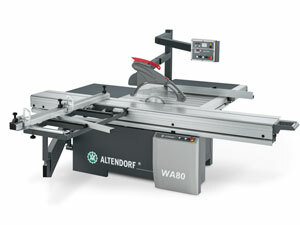 With a sliding table length of 3200mm and a rip fence capacity the WA80 TE is ideally suited for manufactures cutting jumbo sheets. The rip fence features micro adjustment ensuring high levels of accuracy. The crosscut fence extends to 3200mm and is supplied with 2 flip over stops. 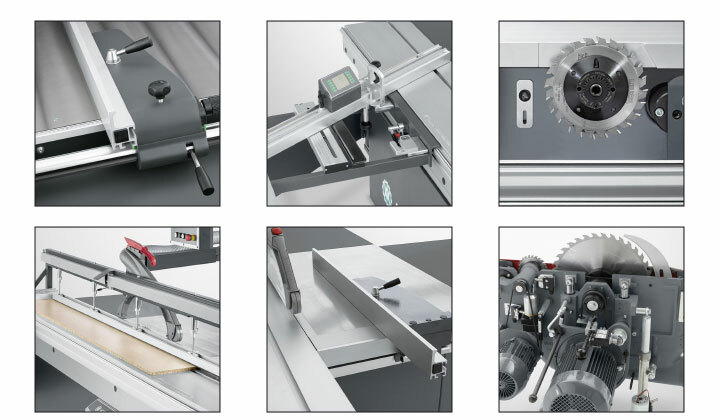 For customers who want to cut angles there is a choice of available options which can be suited to individual requirements. Its powerful 7.5Hp motor with 3 speeds provides ample power for most applications and the option to increase this to 10Hp is available for joinery companies or shop fitters who want to process solid timber.